On February 28, full details of the President’s fiscal year (FY) 2019 budget request for the National Science Foundation (NSF) were released. Preliminary details were unveiled on February 12 with the rest of the President’s FY 2019 budget. The President’s request includes a total of $7.5 billion for NSF in FY 2019, which is flat with the FY 2017 enacted level (Note: FY 2018 appropriations have not yet been completed, so comparisons are made to the last enacted level). As previously reported, prior to enactment last month of a bipartisan budget deal to raise discretionary spending caps, the Administration’s budget proposal for NSF was $5.3 billion, a nearly 30 percent cut to the agency. Unfortunately, the newly released details show that the additional funding associated with raising the caps would not be spread evenly across the foundation. Instead, the request seeks to reprioritize funds toward NSF’s Big Ideas initiatives at the expense of several existing programs and activities. 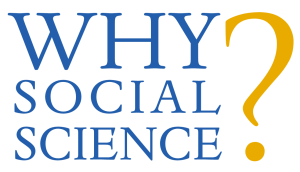 Of particular concern is the disproportionate treatment of the Social, Behavioral, and Economic Sciences Directorate (SBE) in the request, which would see a cut of 9.1 percent from FY 2017 (11.2 percent to its research and education activities). This is compared to the other directorates that would be held flat or cut by one or two percent. Read on for COSSA’s full analysis of the NSF FY 2019 Budget Request. COSSA has announced that Sian Beilock will deliver the keynote address for the COSSA 2018 Science Policy Conference on April 30. Beilock is the 8th president of Barnard College and a psychologist who studies how children and adults learn and perform at their best, especially under stress. She is the author of Choke: What the Secrets of the Brain Reveal about Getting It Right When You Have To (2010) and How the Body Knows Its Mind: The Surprising Power of the Physical Environment to Influence How You Think and Feel (2015). COSSA has also released information about some of the plenary sessions that will be held during the Conference. A panel entitled “Post Truth: Communicating Facts, Not Fiction” will feature Cary Funk, Director of Science and Society Research at the Pew Research Center, and Melanie Green, Associate Professor Communication at the University at Buffalo. Another panel, on “Reestablishing Trust in Social Science & Data” will feature Arthur “Skip” Lupia, Hal R. Varian Collegiate Professor of Political Science at the University of Michigan, and Brian Nosek, Professor of Psychology at the University of Virginia and Executive Director of the Center for Open Science. With the Conference is less than two months away, register today to ensure your spot! Remember: All participants affiliated with COSSA member organizations and universities are eligible for a discount on Conference registration, and undergraduate and graduate students can register for only $50. Email jmilton@cossa.org for more information. The National Institute of Justice (NIJ), the research and evaluation agency of the Department of Justice, is seeking to expand its pool of peer reviewers. NIJ’s grant making process relies on scientists and criminal justice practitioners to provide expertise and feedback on the scientific rigor and merit of applications. NIJ is specifically seeking research and technical experts in the following areas: human trafficking, firearms violence, mass shootings, school safety, terrorism, gangs, persistently violent communities, and hate crime. More information about becoming a peer reviewer can be found on the NIJ website.